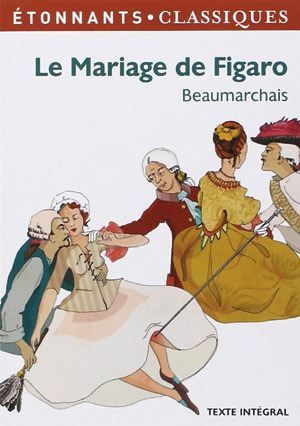 The Marriage of Figaro received its first performance in Vienna, conducted by its composer in May 1786. Nowadays we regard it as a frothy romantic comedy with a feather light plot elevated by Mozart's scintillating score. It is therefore hard to understand how controversial it was at the time of its creation, with the emperor himself demanding to see a copy of the libretto before he would allow it to be performed. Permission was only granted after the librettist Lorenzo da Ponte had translated it into Italian (which most of the Austrian audience would not understand) and removed a number of particularly objectionable passages. But, surprisingly, it was not the sexual offence of the piece which the censors objected to, but the political. The play was finally put on in Paris in 1784, after a number of cuts and having the setting moved to Spain. It was a sensation - three people were killed in the crush to get tickets, it ran for an unprecedented 100 performances and was translated into every major European language. Beaumarchais became a millionaire, and Figaro an instantly recognisable stock figure of the common man. When Mozart got hold of it, much of its social content had to be heavily watered down to survive the more conservative atmosphere of the Austrian empire. Figaro's famous speech was replaced by his diatribe against the faithlessness of women (a much less controversial sentiment - at least among men - at the time), and the image of the countess, as opposed to her husband, is noble and magnanimous. But the contrast between low-born merit and the arrogant entitlement of the powerful survives, and still strikes a chord with many in today's social climate. Cast and more in Kennet Opera's Figaro.